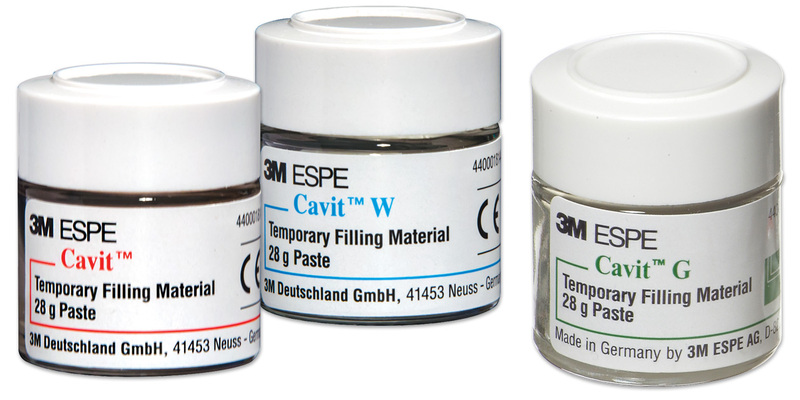 Self-curing, temporary sealing paste for temporary restoration of cavities and sealing endodontically treated preparations. Cavit original (pink) - Hardest set. Cavit W (white) - Medium set with reduced final hardness and increased adhesion. Cavit G (gray) - Softest set that is completely removable without burs.